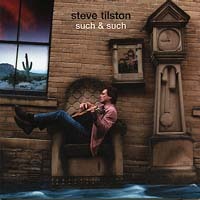 Traditional folk, cool jazz, singalong soft rock, tundra to conundra - musically, this is Steve's most varied and ambitious album. Working with a flexible studio line-up, he brings just the right musical ingredients and textures to each song. Guest musicians include Keith Warmington, the BBC Radio presenter, who played on Steve's very first album Acoustic Confusion; Roy Dodds, ex-Fairground Attraction, was a member of Steve's early 80's band Loose Shoes; the distinctive fiddle of Richard Curran is here as is multi-instrumentalist Anna Ryder, Maartin Allock, from the Fairport Convention line up that recorded a trio of Tilston classics, and legendary sax player, Andy Shepherd. 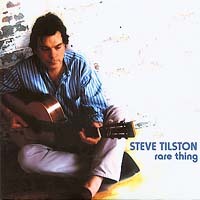 "Tilston achieves a great sound that percolates. It is a wonderful combination of a great voice matched by equally impressive instrumental work blended with just-right production. This charming CD will appeal to a broader range of listeners." Sing out! is hard on the heels of Richard Thompson in the perennially 'underrated' stakes." absurdly accomplished singer/songwriter and guitarist".